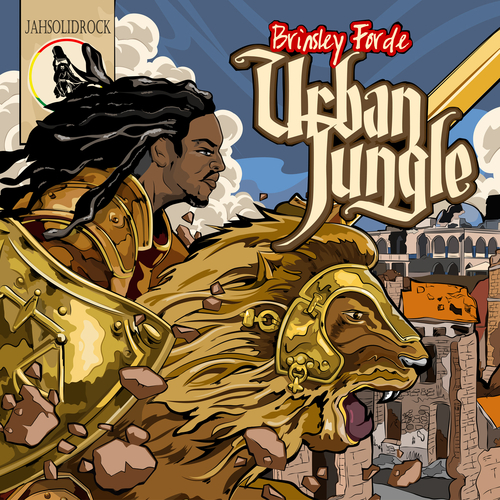 This is the Debut solo album from legendary founder member of Aswad, Brinsley Forde. Brinsley has been at the heart of British reggae for 40 years. Along with Steel Pulse and Dennis Bovell's Matumbi they were the pioneers of British reggae, touring in 1977 as guest band with Burning Spear,immortalised on the classic album Live(Burning Spear). Later recording in Jamaica at Harry J's studio where the Wailer's Catch A Fire tracks had been cut. Aswad went onto become one of the biggest reggae bands around scoring chart hits including No 1 in 1986 with "Don't Turn Around" Having made himself a TV and Film career with the lead character in Franco Rosso's cult hit "Babylon",appearences in Brit sitcoms Double Deckers and Please Sir and the Bob Marley videos "Buffalo Soldier" and "One Love" he turned to radio with his BBC6 Music show "Lively Up Yourself" and timely documentaries on Bob Marley and British Reggae. Back to music he joined Dizzee Rascal on Jools Holland's Later to perform "Can't Tek No More" based on the great "Warrior Charge" aswell as reforming Aswad for the Island Records 50th Birthday birthday concert along side Sly and Robbie and Tinchy Stryder.. Brinsley's debut album shows a desire to go back to basics with an aim to make it roots reggae with a revisiting of those 70's vibes although with radio hit "Can't Stop Me Now" its contemporary enough to satisfy new listeners. Brinsley Forde's story has a long way to run. "...Aswad has made a number of immortal albums essential in any record collection and with Urban Jungle Brinsley Forde has shown that he’s capable of making a rock solid album on his own. File next to Hulet, New Chapter and Showcase...."
"...Brinsley Forde's long awaited debut album provides nearly non stop entertainment for those seeking well produced reggae music with a contemporary sound and 1970's vibes..."
"...fourteen sublime tracks over which Brinsley Forde dazzles....."